Congrats, looks great. Had a look over it myself when last down at Ariel and was tempted but decided to go with a new build in the end. Enjoy. 1) The bias knob will keep rotating until you get to either Max front or Max rear bias. The Atom handbook has a section on adjusting the bias so have a look in the Nomad handbook. The general rule is one click at a time and if locking the fronts then adjust to the rear until they lock and then go one click forward. Don't touch the brakes when adjusting the bias. 2) Henry told me the order of important is Front Winch Bumper (protects the radiator), Sump Guard/Bash Plate, Coolant Pipe Guard and finally the Front Suspension Box and Body Tub Guard. 3) Try a "magic sponge" as I find this works best. Just a little heads up. After long discussions with my neighbours who mountain bike all over the hills near us (Leith/Holmbury and Pitch Hills) it seems there are plenty of BOATs available for a drive down - I am not sure how rutted ot wet they will get but for now I gather they are in good shape. I have the 18" AT tyres - not full on nobbles and only the winch bumper as protection - but may have a go down a few in the coming weekends. Will report back and maybe a good meet to try ! 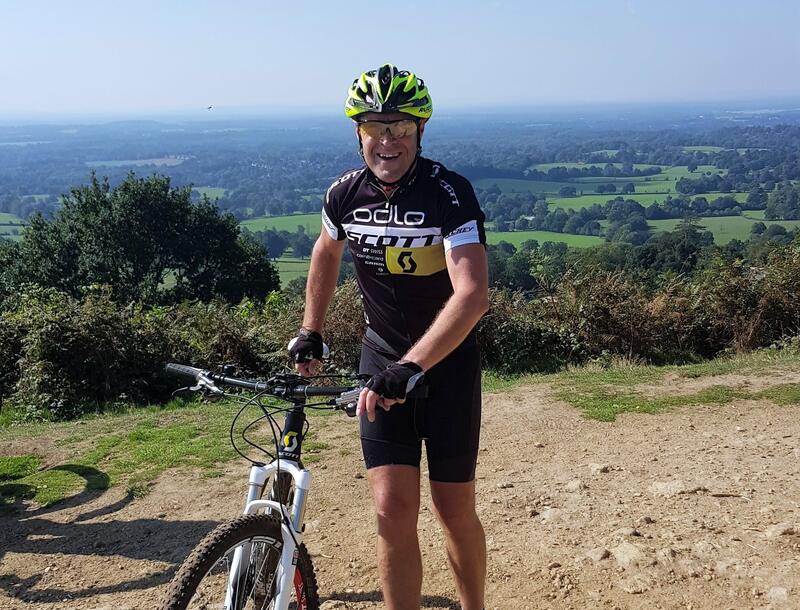 I was also there the weekend before last on my MTB (pic at Leith Hill) with a mate who knows the area a bit better than me. I've ridden the byways in the area in the past on a slightly more purposeful KTM enduro bike so I would say there is plenty do-able in a Nomad, although some is a little single-tracky. I'll try to record our Sunday ride on my Garmin - after all we are being guided and assume we will keep to the kosha green lanes. Awesome - having not green laned at all (I have cycled a lot of leith hill though) I am not sure just how good or bad it will be. 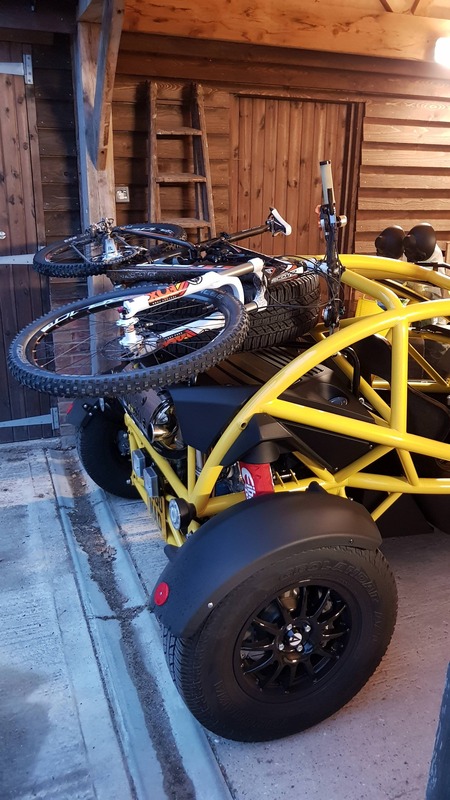 I found a website with a motorbike rider videoing a lot of these and the long route up from Wotton Manor to the top of leith hill looked fun. Will wait to see yr video with interest. With regards point 3, I ended up taking the tape off after 3 weeks because it actually looked worse with scuffs in that you can't 'polish out'. I replaced it with strips of Velcro 'fluffy side', although others have used abrasion tape. Thanks Karl V, Velcro sounds like a good tip. Just confirming that I plan to be at the Rising Sun Milland on Sat. 15th 1:00pm-ish with the Beastlet (or roller skate as its been dubbed at my office) in case anyone else is up for a beer there. I would love to but I am off to Zandvoort on Sunday and just not sure I will get away with going off on a Car jaunt the day before !! I'm still up for a quick catch-up this afternoon at the Rising Sun, Mutley. I managed to convince the boss, at quite short notice, to allow me to attend the Devon Dash (viewtopic.php?f=50&t=17142) next weekend. I may only be able to pop out for an hour or two this afternoon 'cos I need to bank a few extra husband points before next weekend. Good to meet you and Sarah (and Martin) today Chris. I'd definitely be up for trying a bit of green laning around our parts of the world (Leith / Boxhill). Maybe when Trigger and Hedge are around too? And if anyone fancies a London Dawn Raid (https://ariel.club/forum/viewtopic.php?f=2&t=17056, it comes highly recommended. 60 MpH down the Mall, turning left at Buckingham Palace heading towards Horse Guards Parade, then right over Westminster Bridge to drift through Parliament Square before heading up to Wembley for a breakfast at Ace Cafe. All before the great unwashed litter the roads with diesel vans. I did a good recce of the Surrey Hills on the 'Sunday Scramble' yesterday. 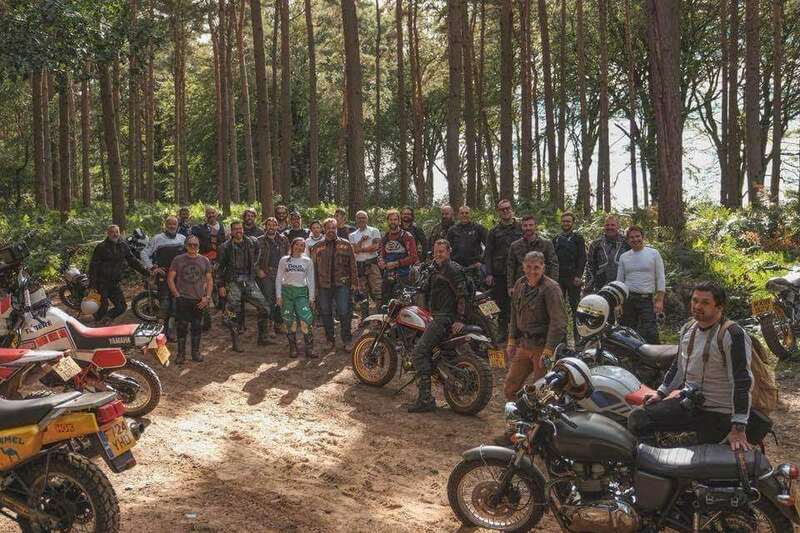 That's me photobombing on my Ducati in the middle. I would say about a third of the trails were Nomad-able, the rest were too single-track really. Now I just need to remember which were where. . . Sorry not to be able to come - but fyi Zandvoort is awesome !! Properly scary track with plenty of elevation changes and tight corners. In terms of the green laning - I havent had a chance obviously to get out there. But from talking to my mountain bike friends and investigating TROs on the Surrey website I have a few poss routes to try. Leith hill has 2 - Wolvens Lane thats goes from Wotton (Behind Wotton Hatch off A25) upto Coldharbour. There are also a couple of routes from Coldharbour up past the cricket ground and then a slightly dodgy one (steep) back down to Coldharbour lane. There are a few extra BOATs in Shere and Abinger but they have TROs - i.e. 2 wheels only or closed to motorised traffic. If you do remember what was good pls do say !! Right lets revive this thread !! Meet in Coldharbour village by Plough Pub (Leith Hill area) at 1100/1130 hrs on Saturday 20th Oct - and drive Wolvens lane (nice BOAT I have walked) - about 3 miles - mixed trail but mainly sandy and should remain dry enough for October. At the end is the Wotton Hatch Pub with decent car park ! There are a few other trails but lets not be too ambitious ! How about it ? Unless weather is foul of course but not a great deal we can do about that ! You had me at 'pub'!